Tomorrow is Wednesday, also known as the day that Grace and I fight over whether I get to watch Sanford and Son reruns on tv. “That’s not a show for a 4-year-old,” you might think, judgmentally. And you’d think wrong. That’s because Sanford and Son has much to teach an innocent young preschooler. 2. The fact that, once she is in the real world, she will indeed encounter some Big Dummies. Anyway, every Wednesday I try to persuade her to watch the show and every Wednesday I am brutally rebuffed. I didn’t want to fall for the trap. I’m a fairly…cynical person. I’m especially cynical of things I know will entertain my children. I don’t think they’ll actually entertain me, too. Plus, I haven’t been a big fan of princesses since I was maybe 12. So, I didn’t think I was gonna fall for the trap. I totally fell for the trap. 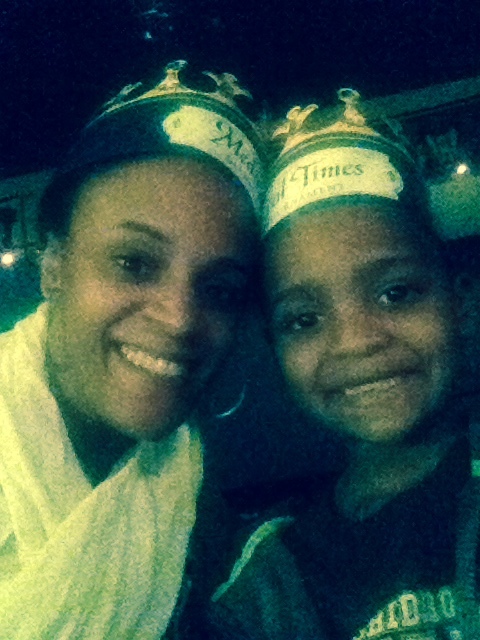 Meaning, that when my husband and kids went to Medieval Times at Arundel Mills Mall, I ended up being just as excited as my kids about kings, knights, princesses – alladat. I’d totally go back for more. The way it works is that you enter the “castle,” and are shown to your seat. Your seat corresponds with a color and that color corresponds with a knight that you are supposed to cheer for. 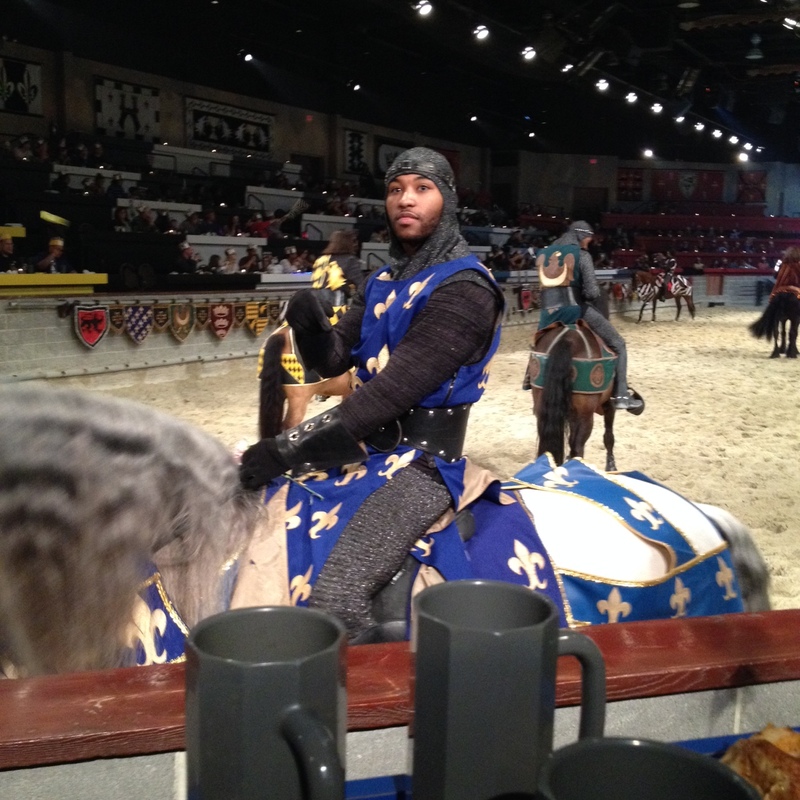 We got the blue knight (isn’t he adorable?). There’s a whole performance with a king and a princess and even a bad guy. Then, you get served a meal you get to eat with your hands. Even though I went pretty much specifically to entertain my kids, there were really people of all ages there – from kids celebrating their birthdays to older couples celebrating their wedding anniversaries. I will say this – my son was a little nervous about entering the castle at first, as I knew he would be. It takes him a while to warm up to things, so he was a little freaked out at first. By the end, he loved it. So, if you were to go I’d suggest going early (you can actually go up to an hour before the performance but we were running late) just to let younger kids get comfortable.